There is not one word that can be used to describe Miami. Historically significant and culturally diverse are absolutely all characteristics that epitomize this one of a kind locale as well as vibrant and most definitely hip. Some of the world's most beautiful people swarm Miami for a long vacation or a weekend getaway, looking to find a hotel that is as magnificent as the city itself. Posh decor, an energetic atmosphere, an attentive staff looking to create the best stay for you and your guests, and amenities that will leave you wanting for nothing are all requirements when looking for the perfect place to stay in this very haute locale. 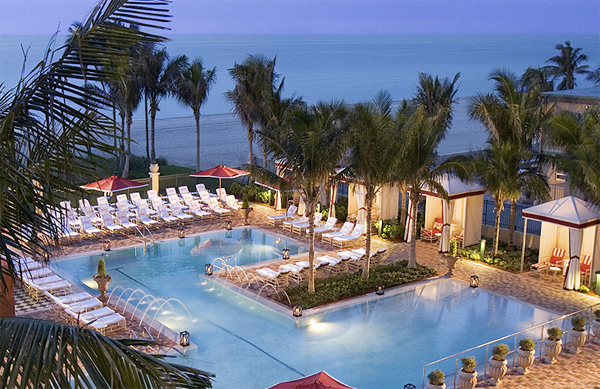 Head to one of Miami's newest Five-Star award winners, Acqualina Resort and Spa and achieve hotel karma. 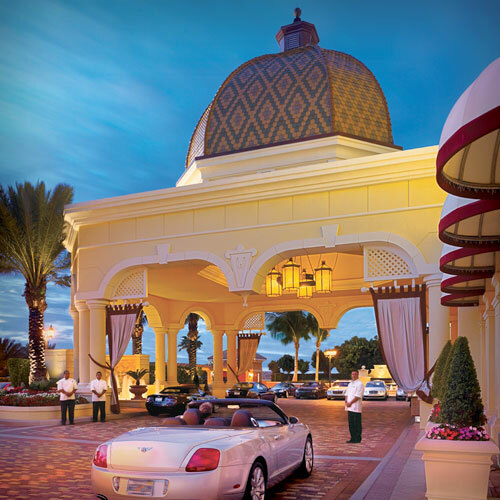 Acqualina Resort and Spa is ideally located between Ft. Lauderdale and Miami, on the beautiful white beaches of Sunny Isles. Upon arrival you will take in this impressive Mediterranean style resort that welcomes guests with a feeling of serenity, luxury and pure indulgence. While the poolside is splashed with red, the interior of the suites and rooms is decorated in subdued taupe and whites with dark exotic wood. Every detail creates the look of opulence while remaining comfortable. 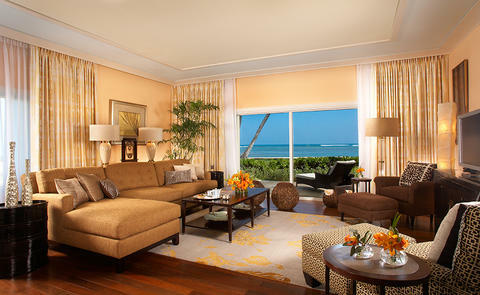 The 54 rooms and 44 suites offers guests gorgeous views, private terraces, flat-screen TVs and divine bathrooms. Find harmony and calm at one of Miami's most amazing resorts. 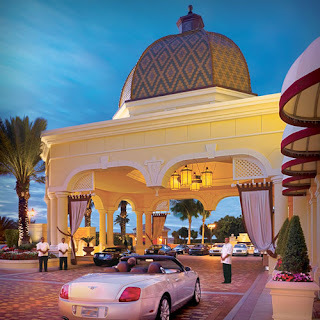 In 2012, the beautiful Acqualina Spa by ESPA won awards in six categories including Winner in Best Beach Spa, Best for Accommodation, Best Interior Design and Best Spa for Men by SpaFinder Wellness Readers Choice. These accolades only assured what guests already know, Acqualina's spa is phenomenal. Known for creating premier spas in Europe, ESPA found its way across the pond to Miami where it opened an oasis that is truly rejuvenating Holistic, meditative, and restorative treatments are all found here and create a relaxing and peaceful experience for anyone that seeks a treatment. Guests at the hotel also receive complimentary spa access to the steam rooms, saunas and showers as well as spa credits for therapy. Beautiful settings only enhance the already sophisticated menus found at the restaurants and grill at Acqualina Resort and Spa. Fresh and fabulous, the cuisine here is scrumptious and will ensure anyone that dines will leave satisfied. Choose from an elegant setting or dine under the stars and enjoy the lovely ambiance. However if privacy and romance are more your style, go for the intimate beach dining or the always cozy in-room dining. Whatever your choice, the food and wine here are as extraordinary as the surroundings and the service. Lounge by the pool in full view of the sun or under the cover of a private cabana and sip a delectable cocktail. This is how you can spend your time while at the brilliant Acqualina Resort and Spa and you will leave completely contented. However, this Five-Star resort is pleased to offer an abundant list of activities to keep you entertained during your stay. 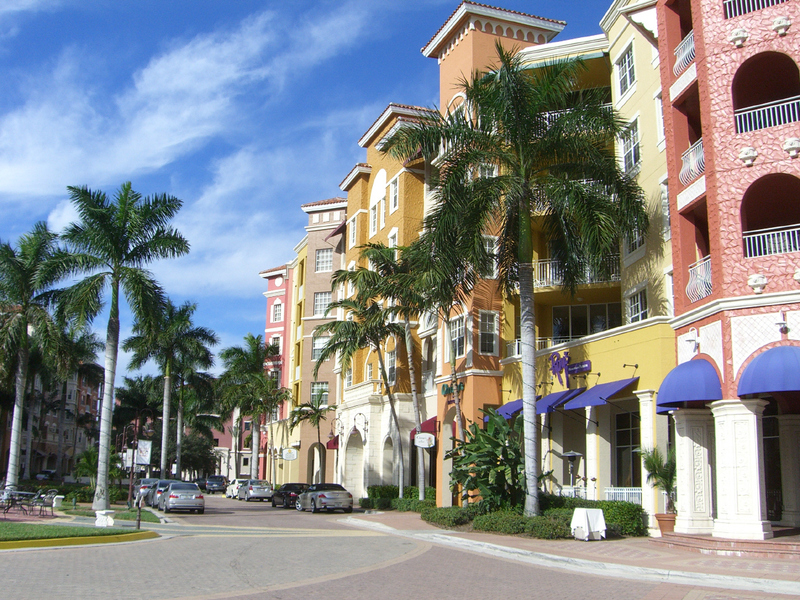 Try golf, tennis, a stroll on the beach or get a ride into town for some shopping, whatever you desire you will find at Acqualina Resort and Spa. Posh and perfect are easily discovered during your stay at Miami's very fashionable Five-Star Acqualina Resort and Spa. Every year many world renowned travel guides grade and publish their list of top travel destinations, hotels, spas and restaurants. Forbes is one of these respected companies and offers a star system for customers to evaluate where they might want to stay when they travel. For the past 55 years Forbes has put out these awards, the ultimate being the Five-Star rating. This year there are a few fabulous locations that earned a top rating in all categories, hotel, restaurant and spa. Check out these hotels that have managed to create a flawless experience in the areas of rest, relaxation and repast. The Mandarin Oriental, Miami not only earned that enviable Five-Star rating this year, but became one of Miami's first winners. A stay here will find you in a room with contemporary decor, the latest technology and welcoming balconies that allow guests to breath in the salty sea air. Views from most of the 326 rooms include the Miami skyline or Biscayne Bay. Lounge on the 20,000 sq ft powder white beaches that grace the hotel's Oasis Beach Club and discover the trendy city's most exclusive oceanfront retreat. The restaurant located inside of the Mandarin Oriental, Miami, Azul, invites guests to dine with astonishing views provided by floor to ceiling windows on three sides of this chic establishment. The menu is created with European and Asian flavors that mesh beautifully with the American cuisine. The only thing that may top the delicious food is the impeccable service that guests will uncover. If there is a chill in the air your waiter can bring you a wrap to warm your arms, or if you forgot your reading glasses at home some are available for your use. These are just two ways that the restaurant makes all of their guests feel pampered. 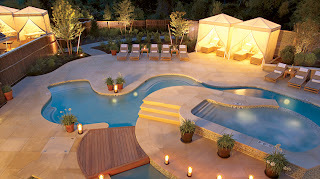 The last Five-Star ranking goes to the awe-inspiring 3 level spa that occupies 15,000 sq ft of this awesome hotel. Here you will find a blend of Eastern and Western therapies and philosophies to create a very personal treatment. Beautiful decor only adds to the calming atmosphere that is found at this stunning spa. 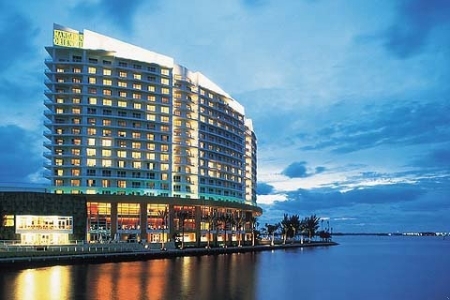 The Mandarin Oriental Miami no doubt has earned every star that Forbes has bestowed upon them. 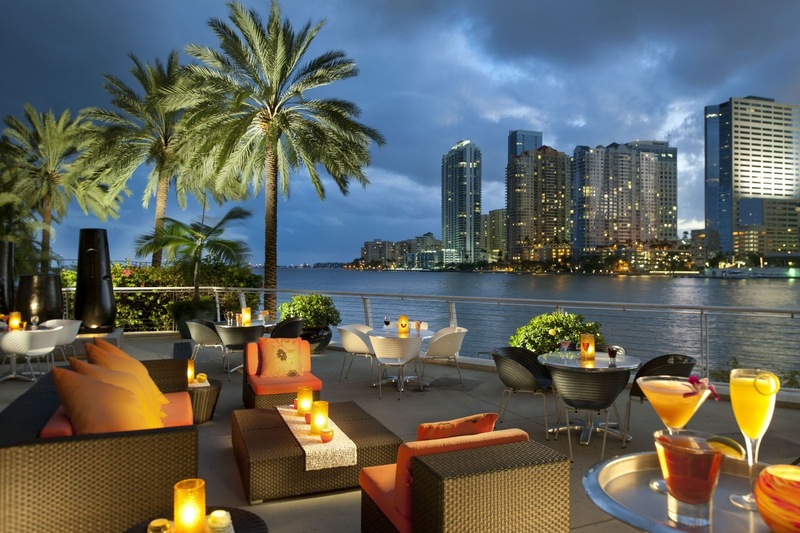 Visit Miami, the city of style, and stay at the one hotel that is as magnificent as the city that surrounds it. The next lucky resort is the intoxicating Grand Del Mar in San Diego, California. 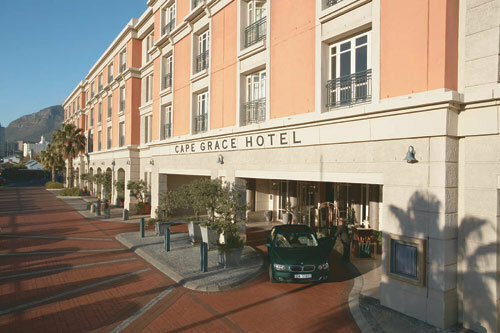 Although giving off the look of a timeless estate in the Mediterranean, this hotel is rather young, being built in 2007. If planning a trip to this charming city, Forbes has only given this 5 star rating to the Grand Del Mar, so staying here will easily please. 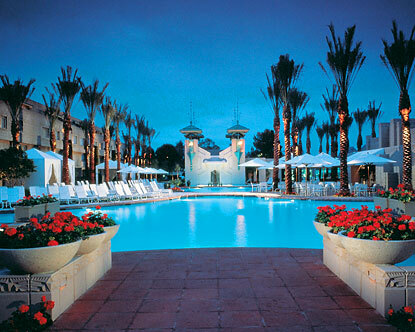 Wrought iron accents, arched doorways and decorative stone is found throughout this dazzling resort. 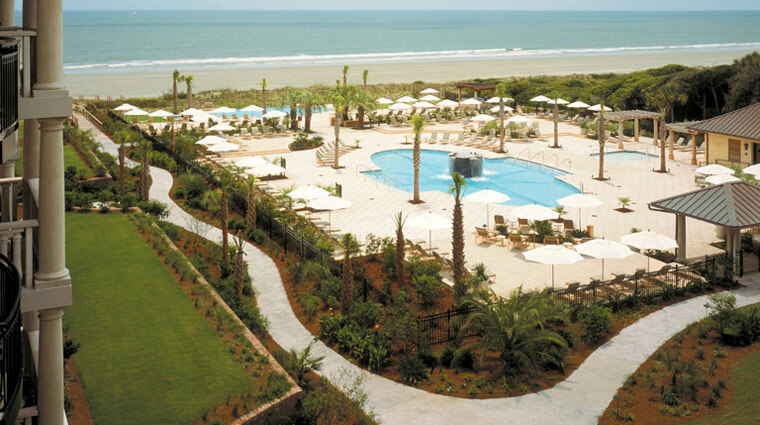 Activities here are almost limitless, find golf, an equestrian center, and four heated pools. 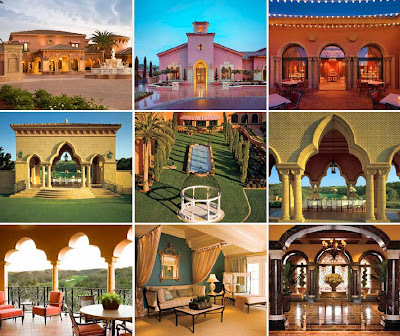 The on-site restaurant had to also be phenomenal to be able to call the Grand Del Mar home. The Addison, named after the architect of the resort, is one of only four Forbes Five-Star restaurants in the entire state. Frequently changing menus allow the chef to utilize the seasonal favorites from the region to create contemporary French cuisine. The 3,600 wines available on the restaurant's wine list only add to the charm when it comes to this tempting restaurant. The spa at the resort is yet another Five-Star award winner with white marble floors, earthy wood accents and Hermes scarves lining the walkway to the women's lounge. The men's lounge showcases an impressive 40 inch flatscreen and high-back leather chairs to give off the aura of masculinity. This is San Diego's only highly rated spa, so there is no doubt your time here will leave you feeling like royalty. 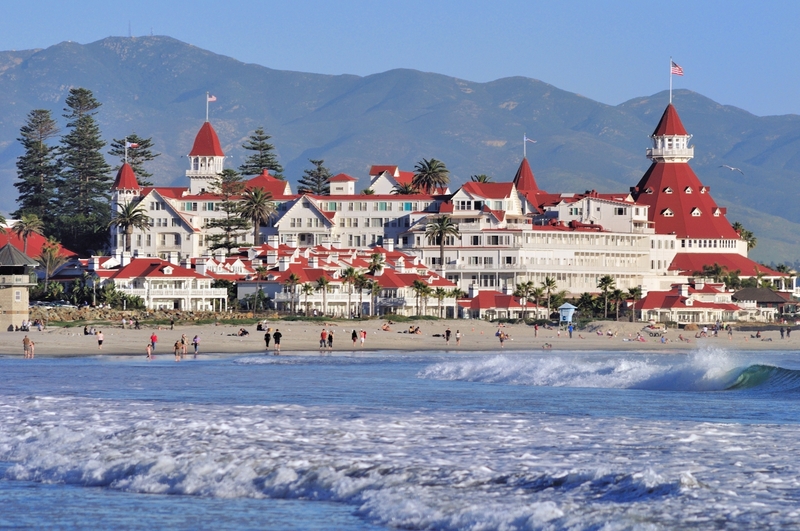 Head to the idyllic city of San Diego, where weather, culture and the Grand Del Mar will keep you coming back for more. Las Vegas is filled with the rich as well as the famous on any given day. Because of this it is no surprise that the hotels here are absolutely remarkable. 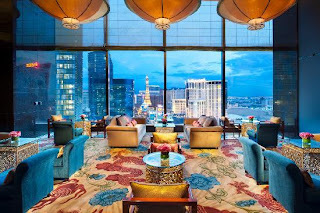 The Mandarin Oriental Las Vegas sits high above the crowded city streets, the exquisite lobby is on the 23rd floor where it boasts incredible views. Staying here will showcase floor-to-ceiling windows that show off the neon lit Vegas Strip as well as the desert mountains in the distance. Refined service, modern amenities and contemporary decor will make you feel like you hit the jackpot, at least in the terms of your awe-inspiring stay. The Twist restaurant is on the same floor as the lobby and provides guests a modern French menu with an artful presentation. The wall of windows adds to the ambiance and the service will ensure you want for nothing. After a night on the strip a spa treatment might be necessary to help you alleviate any toxins in your system, so the 2 story, 27,000 sq ft retreat is rather welcoming. Art Deco elements and 1930's Shanghai glamour create a space that is stunning in this award winning spa. 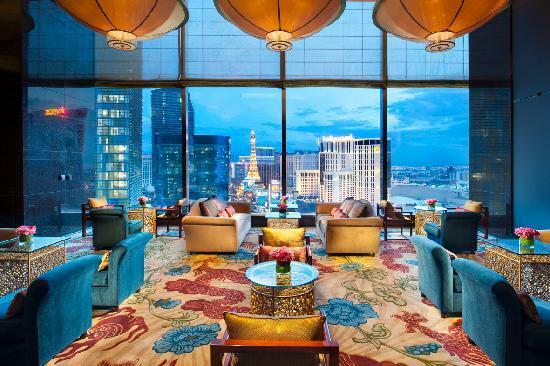 Everything at the The Mandarin Oriental Las Vegas will feel exclusive and spectacular, so get ready to win big in thrilling Las Vegas. 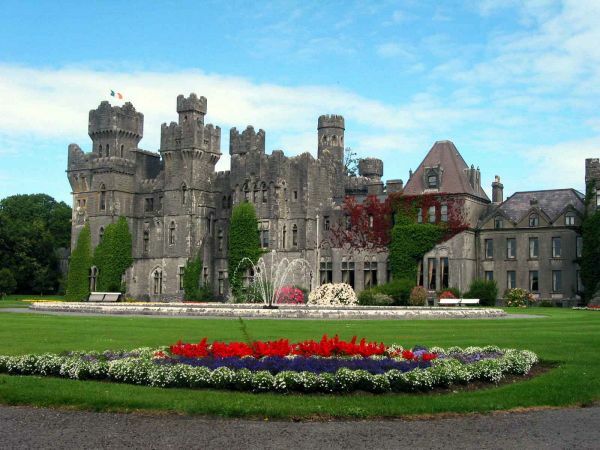 These vacation hot-spots will absolutely capture your attention. With beautiful scenery and enticing vibes, amazing adventure awaits in all three of these locations. Book your stay at any of the haute hotels and let WhatAHotel! create a stay that will not soon be forgotten. We offer complimentary and exclusive perks and benefits that will easily set us apart from other online travel agencies. So if you are looking for a mind-blowing trip with a Forbes Five-Star rating in all three categories, you can't go wrong with any of these wonderful hotels. Travel in style and comfort when WhatAHotel! helps you book the trip of a lifetime! British Columbia is a beautiful province in Canada that offers guests breath-taking landscapes and heart-pounding adventure. 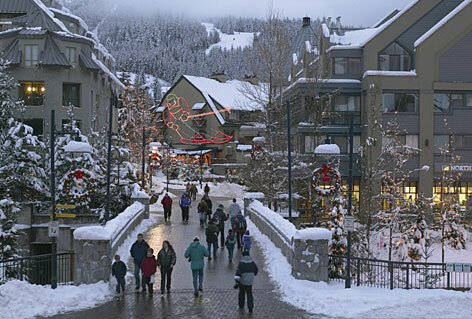 Located in the southern section of British Columbia near Vancouver is the quaint town of Whistler. Known to be a welcoming community with amazing mountain ranges, this stunning location was lucky enough to host the mountain events for the Vancouver 2010 Winter Olympic and Paralympic Games. Four Seasons Resort Whistler also calls this mountain town home, and offers guests the experience of a lifetime. 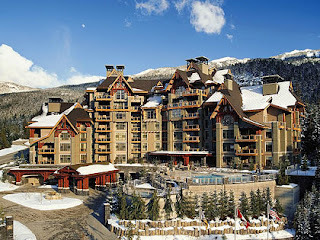 Find all that is amazing in Whistler and the always spectacular Four Seasons Resort. 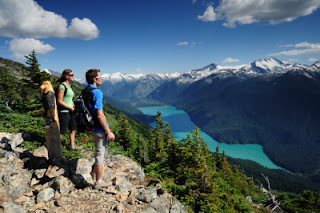 During the summer months, the mild temperatures tempt adventure seekers to the beautiful Whistler and Blackcomb mountainside to hike, bike, and go horseback riding. There is a glacier located in picturesque Whistler that allows summer guests to ski and snowboard under the warm July sun. Lake activities as well as zip lining, ATV excursions and rock climbing all entice visitors to Whistler during the warmer weather. So although Whistler is considered by many to be the best ski town in North America, the rest of the year it still captivates and exhilarates the young and old. Once winter moves into the Canadian countryside, Whistler welcomes thousands of visitors hoping to spend some time on the beautiful slopes on the Whistler and Blackcomb mountains. Here snow lovers can ski and snowboard all day long as well as go dog sledding, ice skating and snowmobiling. Winter activities are endless here so guests will never have a difficult time finding ways to spend their day. The Whistler village is even warm and inviting during the colder months. Find unique dining opportunities, fantastic shops and an electric nightlife. Located at the base of the mountain, the village is large enough to ensure guests want for nothing, but small enough to feel friendly and charming. It is no surprise that when Four Seasons Resort decided to open a ski resort in Canada that their first location would be in the phenomenal Whistler area. Nestled at the base of Blackcomb Mountain, with just a short walk to the Whistler-Blackcomb ski lifts, this resort welcomes guests to experience luxury in the heart of British Columbia. 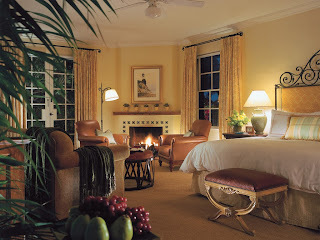 The 273 rooms are spacious and comfortable showcasing earth-toned decor, fireplaces and dark cherry wood. Select a standard room or go all out with the resort residences that allow a family to stay in cozy glamour, either way your accommodations will no doubt be impressive and swoon worthy. 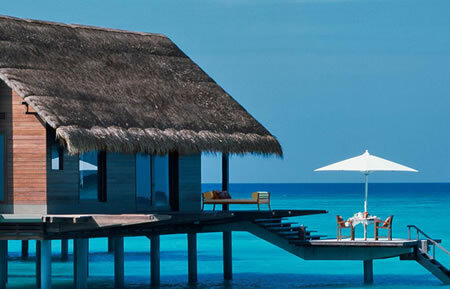 As a Four Seasons Preferred Partner, WhatAHotel! 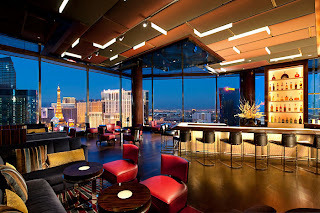 is pleased to offer exclusive and complimentary perks for guests that book with us. This allows the visitors to the gorgeous Four Seasons Resort Whistler to appreciate and take advantage of all of the amazing services and amenities that are provided. When Four Seasons in Whistler decided to create an experience in North America's top year-round resort area, they set out to guarantee that their resort, service and amenities would keep guests wanting to book a return trip. Travel here and find an amazing pool that is heated year round, an inspiring fitness center, golf for the warmer months and of course a Ski Concierge that is dedicated to anticipate your every need both before and during your time on the slopes. The Spa is touted as the #3 resort spa in Canada by Conde Nast so there in no doubt that a treatment will leave you feeling relaxed and pampered. After a day on the slopes or hiking through the mountain trails, you are bound to be hungry. 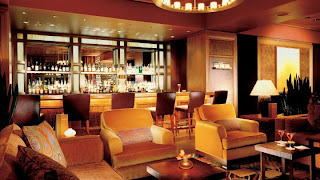 The on-site restaurant and bar are enticing and offer local fare, delicious menu items and tempting cocktails. Four Seasons is dedicated to present guests with an experience that will ensure a remarkable review and hopefully a return visit. Whether you want to zip-line down the side of a mountain or dog-sled before dinner, Four Seasons welcomes you to experience all that they have to offer in wonderful Whistler. This luxury hotel beautifully fuses rustic chic with European sophistication. Peaked roofs and stone accents welcome you to this award-winning resort. Discover the perfect place where posh meets pragmatic in wondrous Whistler . Luxury and boutique hotels are everywhere, in fantastic famous cities and in quaint romantic small towns, in old historic structures or brilliant and modern new architecture. With all of the amazing amenities that they provide and the gorgeous decor that welcome you during your stay, hotels need to offer incentives that will entice customers to check in at their hotel, not the competition. Find some very unique offers, adventures and packages at some of the Best Hotels Around the World and discover just one more thing to draw you to some of the most fabulous and phenomenal hotels and resorts. 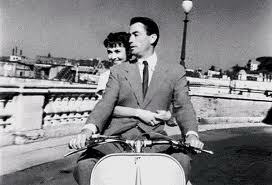 When traveling to Rome, whether for the first time or a return trip, tourists love the idea of riding a scooter around town, taking in the scenery and local sights. The extravagant Rome Cavalieri offers a fun package called the "Roman Holiday Fantasy" where guests get a professional makeup session and then go on a Vespa tour around Rome taking in the famed sites from the 1958 Audrey Hepburn movie, "Roman Holiday". 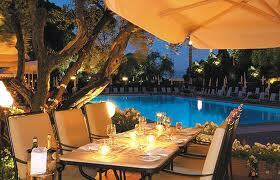 This excursion only adds to the beauty of staying at the very romantic Rome Cavalieri. This hotel's classic Italian style, lush Mediterranean grounds and dazzling staff will guarantee that your time here will be absolutely sensational. 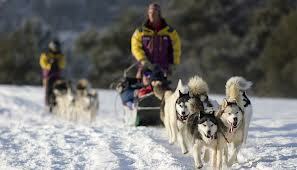 If you are planning a trip to the always chic Aspen Colorado area, you are surely ready for an exhilarating time. 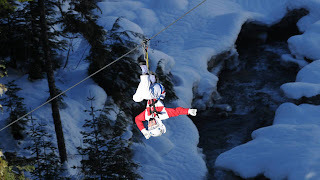 This skiing hot-spot is well loved and here you can find a plethora of elegant and amazing hotels. 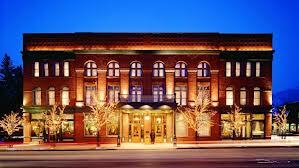 One hotel that is full of lavish extras is the historic Hotel Jerome. 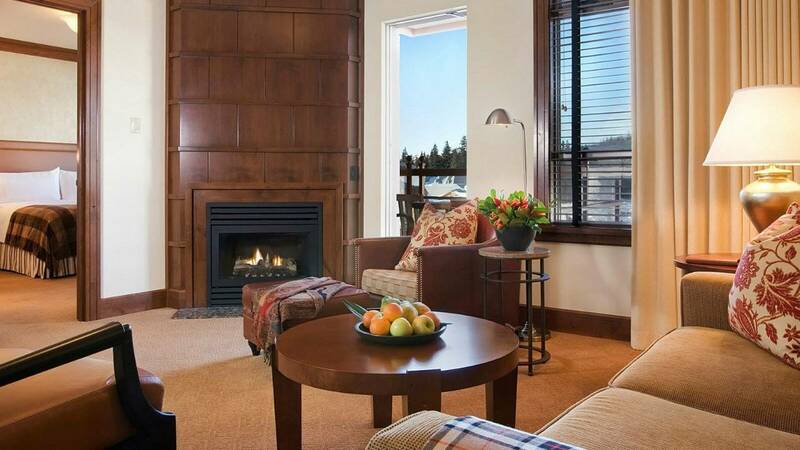 Located in the heart of Aspen, this splendid hotel presents everything guests could ever want and need during their time in this beautiful city. However this hotel also has a package available that helps to set it apart from the many other resorts that call Aspen home. The Hotel Jerome has a program, that for an additional charge, guests can go for a ride via dog-sled at dusk and then dine on a delectable four course meal at the hotel. Adventure and awe-inspiring accommodations await you in Aspen. New York city is a location full of class, history and absolute decadence While in the city you can attend a pulse pounding Broadway show, visit marvelous museums and eat at some world famous restaurants. Even the hotels located here are famous, seen in movies, TV shows and visited by the rich, famous and powerful. 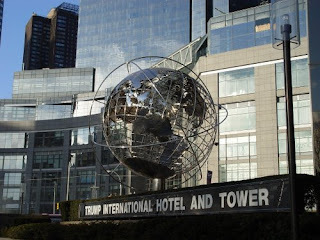 The ultra-rich, mega businessman Donald Trump calls NYC his home and so it is no surprise that his gorgeous Trump International Hotel and Tower New York is vying for top billing when it comes to the hotel that bares his name. So what has this epic hotel done to add a bit of intrigue to your stay? For a fee, guests can cook dinner alongside celebrity chef Jean-Georges Vongerichten. If you enjoy cooking, love the idea of learning a few special techniques or tricks from a master, and let's not forget the ability to stay in pure style at one of New York City's premier hotels, than book your room at the elegant Trump International Hotel and Tower New York. Wherever you decide to stay during your visit to Hawaii is sure to be fantastic, but the Four Seasons Maui at Wailea wanted to offer a little something different to their guests. After a 2009 renovation, they elected to start offering something called "Unforgettable Events". These events were similar to a camp, only for adults. This year Four Seasons is offering a week long cycling camp with Canadian Olympic team member Ryder Hesjedal as well as windsurfing with retired pro Matt Prichard and Shawna Cropas. 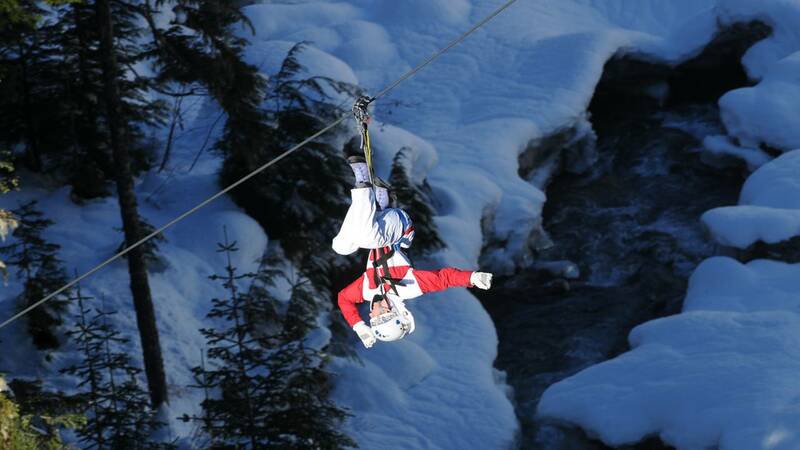 No doubt that is a pretty cool activity to book. To remain competitive in the aggressive hotel and resort market, having a remarkable spa, a world famous chef on the payroll or even a stunning pool to lounge by are no longer enough to draw the bigger crowds. These characteristics are found at most of the top-notch hotels, so providing them is almost a requirement, not a luxury. In times like these, hotels find over the top adventures and experiences that guests can pay for and receive something simply remarkable. WhatAHotel! loves to help make the right decision for you and your travel companion as well as offer exclusive and complimentary perks and benefits. Go on vacation and bring home stories that will make your friends and neighbors unimaginably envious. The Oscars are one of the ultimate achievements for Hollywood's superstars, directors and pretty much anyone that works in the movie industry. Movies that are nominated for an Academy Award are often loved by the public, and if they weren't already a hit, they quickly become one. If a hotel, city, or country gets a cameo (or perhaps a starring role) in a nominated or winning film, it brings a focus to that location. Some people fall so deeply in love with a film that they are enticed to visit the area where that picture was created. Travel the world and check out some of the Oscar-Nominated hotels that have, over the years, captivated audiences and tourists alike. For two days, "The Girl With the Dragon Tattoo" was filmed in Zurich at the The Dolder Grand. This hotel was originally built in 1899 but had a contemporary wing built back in 2008. While the hotel was featured in a suspenseful part of the movie with the lead actress Mara Rooney, the hotel was able to show off the lobby, some of the main hallways, the Masina Suite as well as its amazing exterior. This film was nominated for Film Editing which it won, as well as a Best Actress and three other awards. If you head to the stunning city of Zurich, The Dolder Grand promises 173 divine rooms with views of the city, lake and the alps. If you choose to stay in the actual Masina Suite, you'll be exposed to fabulous decor that was inspired by 1950's Italian glamour. Experience exceptional gourmet restaurants and a traditional spa with a modern twist that offers European and Japanese inspired treatments. Our next movie worthy hotel is iconic just to look at. 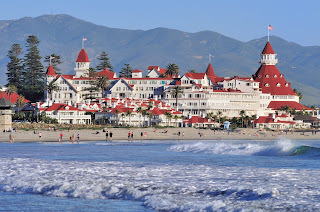 The stunning Hotel del Coronado is located on the breathtaking beach in San Diego and was the backdrop for the classic film "Some Like It Hot" starring Marilyn Monroe. Because all of the exterior shots for the movie were filmed on the grounds of the Hotel del Coronado, it's facade is truly a cinematic superstar. While this film only won for Best Black and White Costume Design, it was nominated for several other noteworthy categories. Today this red roofed beauty welcomes guests to experience a true beach chic stay. Head here to find palm trees, pools and a lot of glamour. "Midnight is Paris" is a comedic time-traveling film directed by the great Woody Allen. With all of the impressive hotels located in Paris, the Hotel Le Bristol was selected to be center stage in this Best Original Screenplay winning movie. The luxury 188 room hotel presents classic decor with French flair. The hotel's gorgeous Panoramic Suite was showcased in every in-room scene for the film and this 1725 sq ft suite boasts Louis XVI furnishings with lavender and gold accents. The small terrace in the room provides a stunning view of the city and knowing you get to stay in a room where Rachel McAdams and Owen Wilson once stood is pretty cool too. The 1992 Al Pacino film, "Scent of a Woman" filmed the famous tango dance scene is this New York City hotel's Cotillion Room. The room was transformed into a restaurant for the film, but the elegant room is normally a ballroom. 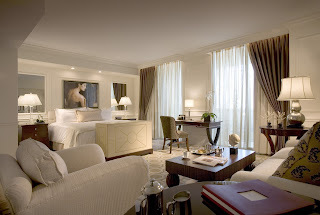 The Pierre, located on glamorous 5th Ave overlooking Central Park offers guests an enchanting and classic atmosphere. The Jiva spa will pamper you with ancient Indian treatments and the restaurants offer up world renowned innovative cuisine. This Oscar favorite was nominated in several categories but Al Pacino won for Best Actor with his portrayal of a blind and irritable colonel. Other notable hotels that made a small appearance are Cape Grace located in Cape Town, South Africa. This pink colored hotel was seen off in the distance during the 2006 movie "Blood Diamond". 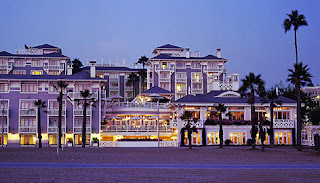 Shutters on the Beach is a famed hotel located in lovely Santa Monica and was utilized for it's charm and east coast feel. 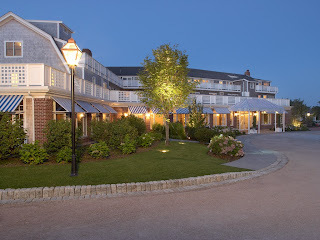 Although located most definitely on the west coast, the actors in the 2003 "Somethings Gotta Give" are seen eating dinner here with the portrayal that it was actually located in the Hamptons. Nice acting work for this alluring resort. And although it never actually made an appearance, the Ashford Castle housed the cast and crew for the 1952 John Wayne film, "The Quiet Man". This 13th century castle was allowed to show off a bit of the grounds for a scene in the film, but the phenomenal structure didn't make the cut. The Hollywood stars are most notable when it comes to fame. However without all of the work that goes on in the background, these stars wouldn't be where they are today. 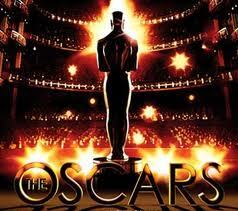 In the movie business the leading actors are just as important as those that work off camera. What are some of your favorite films? I bet that in that film, at least somewhere, is an amazing hotel just waiting for its 15 minutes of fame. The ultimate exotic vacation might mean allowing the ocean waves to lull you to sleep at the end of a lazy day and waking the following morning with the sun rising over the horizon. Staying in a hotel is no doubt convenient and in most cases quite restful, however relaxing in your own private bungalow guarantees you privacy and seclusion. 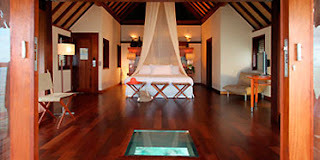 Float on the sea in your own intimate over-the-water bungalow and find what many believe to be pure vacation rapture. 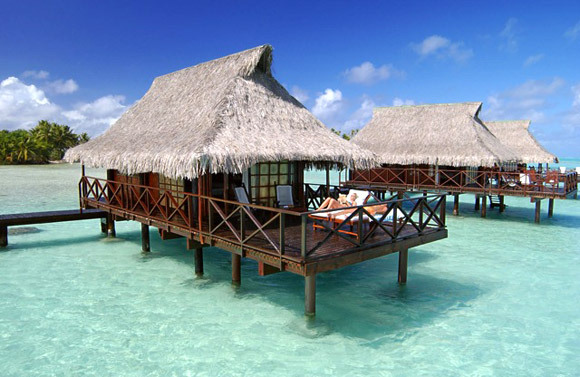 Bora Bora is known for the over-the-water bungalow phenomenon Many of the top hotels and resorts that are situated in this lovely part of the world feature this variety of room. The magnificent climate and stunning views allow visitors to become one with their surroundings. 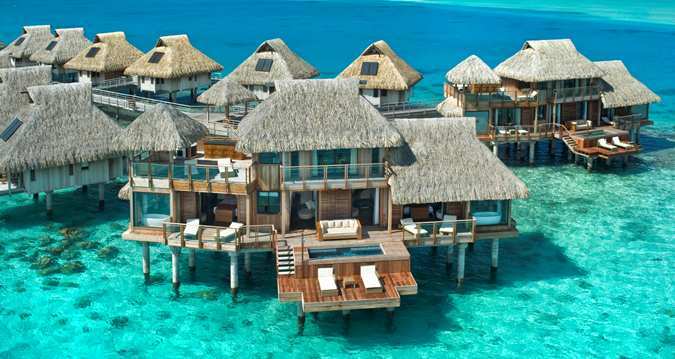 Four Seasons Resort Bora Bora is one such establishment. Leaf thatched roofs are a characteristic of all of the buildings here and coconut palm trees surround the main part of the resort. 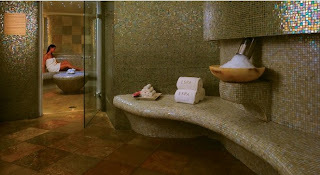 The walls of the buildings are created from volcanic stone and mother-of-pearl accents creating a rustic chic look. Enjoy the majestic views of the Pacific and the mountains in the distance, snorkel in the coral reefs and lagoon that surround this impressive resort and find travel magic. 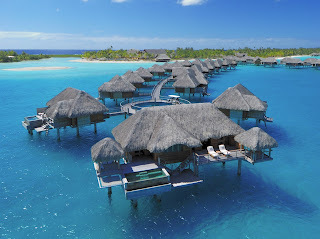 The idea of placing a suite on top of cement pylons in the middle of the lagoon in the South Pacific is over four decades old, but as time passes the hotel community has fallen in love with the idea an created more elaborate cabanas with limitless amenities. 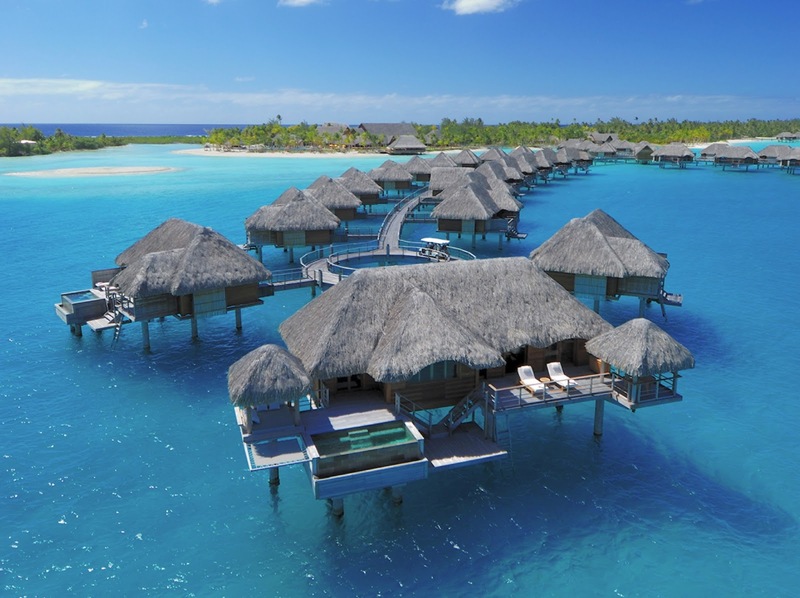 Hilton Bora Bora Nui Resort and Spa is a recent build, offering guests modern conveniences with the romance of staying in a hut on the water. 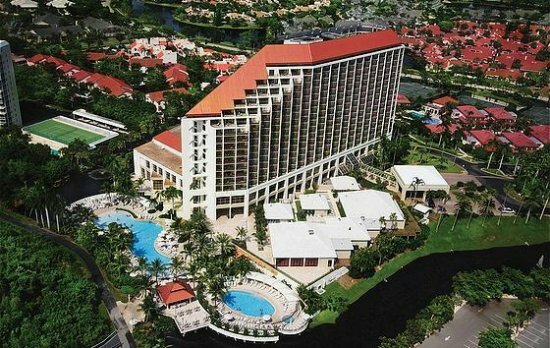 This resort offers 122 rooms ranging from 1,000 to 1,500 sq ft and all outfitted with extravagant interiors, rare hardwoods, and glass panel floors. Here you will even find the resorts reception area in a building that is also over the lagoon. While the fully loaded bungalows are amazing, the main beachfront area is pretty impressive as well. Enjoy the 36 villas, volcanic landscape and state-of-the-art spa. No matter where you stay, the Hilton Bora Bora Nui Resort and Spa promises you'll feel as if you are in paradise. 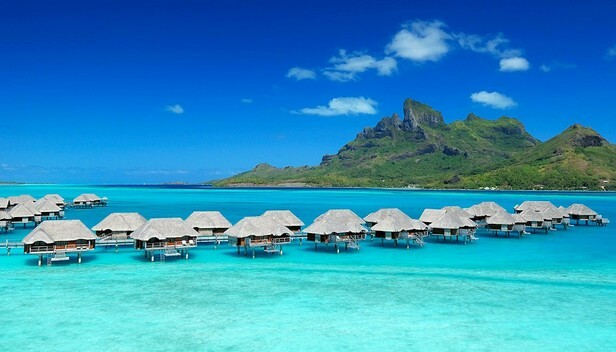 Taha'a is a tiny island just 10 minutes from Bora Bora by helicopter. This isolated destination allows guest to enjoy the island without unwanted outside influence. Situated on this islet is the posh Le Taha'a Island Resort and Spa, Taha'a that offers guests the option of over-water rooms or more traditional beach villas, all built with local bamboo and thatched roofs. The over-the-water bungalows are captivating with wrap around decks and cozy interiors. Kayak to your room or use the lovely walkway, either way you are sure to find solitude as well as complete joy when you check into your room over the ocean. If receiving breakfast via a canoe to your remote on ocean cabana sounds like music to your ears, then the Sofitel Moorea La Ora Beach Resort in the resort for you. Located on the small island of Moorea with views of Tahiti in the distance, this magnificent resort features 114 luxury bungalows, 2 fabulous restaurants a bar, pool and spa. This might just be isolation at it's finest! The waste deep waters are inviting and the suites feature stairs into the lagoon below so that guests can enjoy the refreshing ocean under their room. Moorea allows guests to revel in the beauty of the South Pacific without the crowds of the larger islands that surround it. Find magic in Moorea. 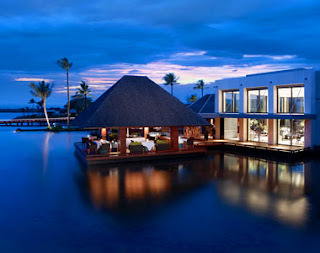 Another fantastic Four Seasons Resort that presents the above water accommodations is the beautiful Four Seasons Resort Mauritius at Anahita. 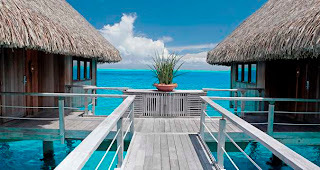 This destination is quite different from the previous French Polynesian resorts, so if the thought of staying in a above water room is fascinating but the seclusion is not for you, this Four Seasons Resort is calling your name. Located in Mauritius off the coast of Africa, this resort offers guests a more modern over-the-water experience that also includes a resort golf course and tennis courts. 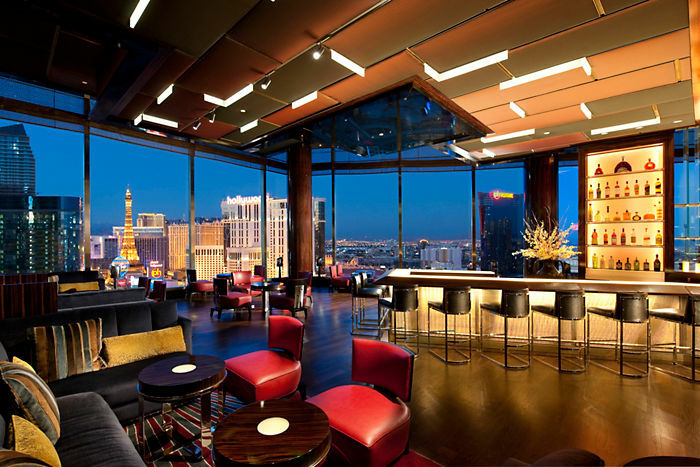 This Four Seasons gives off more of a hotel feel and showcases views, ambiance and charm. 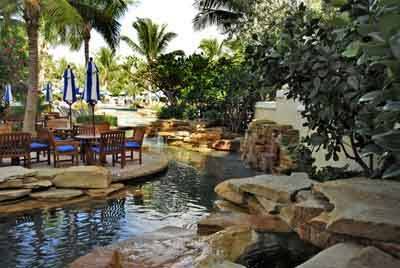 Enjoy a meal at any of the four restaurants, tour the nearby sugar plantation or lounge by your personal veranda pool. Here you will easily find adventure wrapped in a very chic package. Our last destination is a favorite for honeymooners, Hollywood stars and the jet-set. 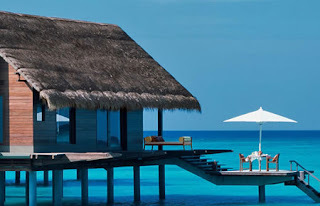 The One and Only Reethi Rah calls the Maldives, located in the middle of the Pacific, home and here you will find opulent suites scattered around the 12 beaches of the 109-acre island. Both over-the-water and beachside villas are available and both offer guests remarkable views and unfathomable amenities. The resort, though secluded, provides guests a variety of activities and excursions. Scuba dive or lounge by the ocean with a drink in hand. Beautiful white beaches and azure waters are easily viewed in both your room or while dining, and the ultra friendly staff will make sure that your every need is being met during your stay. Choose to spend your day at one of the many resort pools or head to the spa for a massage with the sound of waves crashing underneath you. Paradise is found in the Maldives. The attraction to these unique suites is that guests get to truly enjoy the water that surrounds them. By placing accommodations over the sea, guests are given unobstructed views the water and experience the wonders of the ocean at any time. The solitude you find here will ensure that you truly enjoy your trip and the privacy is perfect for couples and honeymooners. All of these resorts offer their guests amazing amenities like divine restaurants and tantalizing spas. No detail has been overlooked, so when you plan a trip to any of these enchanting resorts you can be assured that during your stay you will never want for anything. Book your trip to a place where pristine beaches, shimmering night skies and perfection everywhere you look is included with every cabana. The job of President of the United States means a lot of travel, it is a job requirement to anyone that holds this most influential office. This fact means that he (or someday she) must stay in countless hotels all over the world. Only the best hotels and resorts are considered acceptable for the most powerful man in the world, which means that the hotels that he frequents have exceeded expectations when it comes to comfort, quality and service. 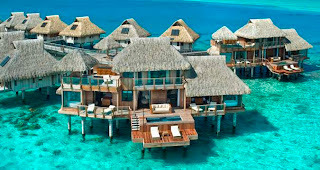 So if you want to stay somewhere that has proven to have an exceptional environment, check out these fabulous hotels. These establishments have demonstrated that they are good enough for The President to return time and again, so head to some of the Best Hotels in America and maybe feel a bit presidential in the process. The Arizona Biltmore in Phoenix, Arizona has welcomed some famous figures, Marilyn Monroe was said to have loved the pool here while the iconic "White Christmas" was written here by the amazing Irving Berlin. Ronald and Nancy Reagan celebrated their honeymoon here and Herbert Hoover as well as the Kennedys were said to have been frequent guests. Check in here and enjoy the 39 acres of gardens, pools and stunning architecture. Play a round of Championship golf or relax in the 22,000 square foot spa and fitness center. Enjoy dining at one of the many on-site restaurants and experience timeless perfection in the heart of the desert. 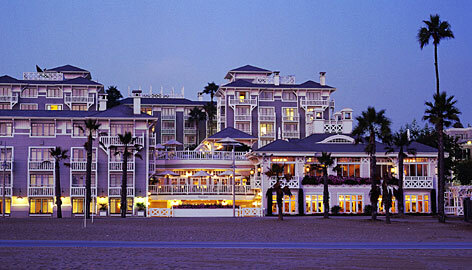 Another preferred selection for Ronald Reagan was the impressive Four Seasons Resort The Biltmore, Santa Barbara. 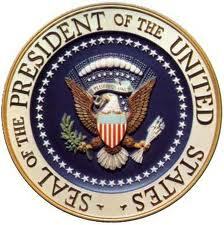 Reagan was well known for his Hollywood beginning and continued to have ties to this city once he took office. 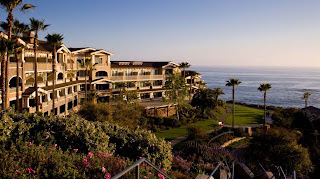 When he visited southern California he enjoyed staying at this Santa Barbara Four Seasons where he could do everything from relax to hold a high profile press conference. 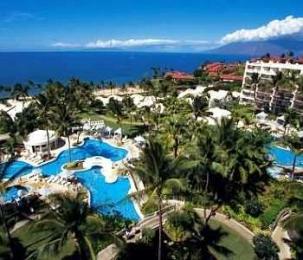 A visit here will showcase dazzling views of the Pacific, mild and sunny weather and incredible amenities. Enjoy California coastal cuisine with use of local produce and seafood not to mention some of the region's best wine. Find all that is amazing at this picturesque Four Seasons and it will be easy to see why Reagan often stayed here. The fact that Hawaii is able to have the exotic feel of a far away locale with a US address makes it a desirable place for any president to vacation. The Kahala Hotel and Resort in Honolulu, Hawaii has welcomed every president since Johnson, with the exception of Obama. Even Secretary of State Hillary Clinton has enjoyed this resort when she entertained the Japanese minister. Other famous people that stayed here include The Dalai Lama, Liza Minnelli, Julie Andrews, Tony Bennett, Jay-Z, Michael Jackson and No Doubt. 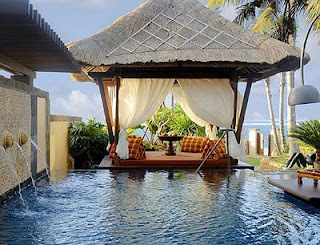 This luxury resort is known not only for its amazing location but also as a hideaway for those seeking privacy. Find tantalizing dishes served at any one of the five restaurants or enjoy a divine treatment at the world-class spa. With such a long list of important people visiting this beautiful resort, you are sure to find top-notch luxuries and exceptional quality during your stay. 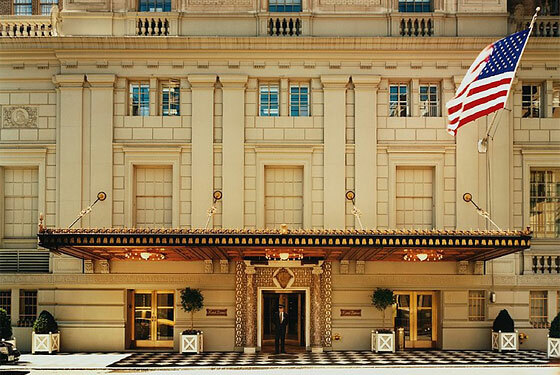 The Fairmont San Francisco is a hotel with some pretty incredible stories to tell. This historic hotel loves to show off the grandeur of the past while offering all of the modern conveniences of today. This iconic location has been the site of many influential assemblies, including the 1945 United Nations Charter meeting where 40 delegates from foreign countries met in the hotel's Garden Room. Every president has visited this hotel since Taft, making it a definite presidential favorite. JFK enjoyed his time here and legend has it that he had a secret doorway in his presidential penthouse library that welcomed his Hollywood mistress. Today the guest rooms and suites are outfitted in traditional decor with a modern twist. 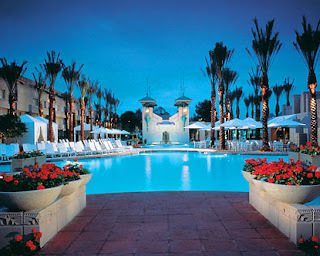 The spa and restaurants on the hotel grounds are fabulous and promise to rival any other local establishment. Stay in style in the beautiful city of San Francisco. Florida is another destination that allows our leader to enjoy beautiful weather while remaining close to home. 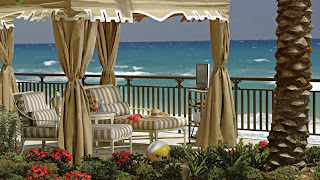 The Ritz-Carlton, Palm Beach has hosted several sitting presidents with Obama being the most recent. It even has a suite rightfully named the Commander and the Chief suite where these powerful men stay. However this room's famous feature has little to do with the man in charge and more to do with his leading lady. A wall in this lovely room is dedicated to shoes, each one made with an important lady in mind. 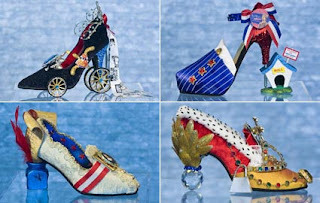 Although many of the shoes are reminiscent of a first lady, there are also shoes for Princess Diana, Queen Elizabeth, Marie Antoinette, and Margaret Thatcher. This very unique display is the perfect backdrop for such an important room. Stay at the Ritz in Palm Beach and discover Five Star, Five Diamond quality. This oceanfront sight is glamorous and laid back all at the same time. Enjoy the finer things in life at the stylish restaurants or the legendary spa. 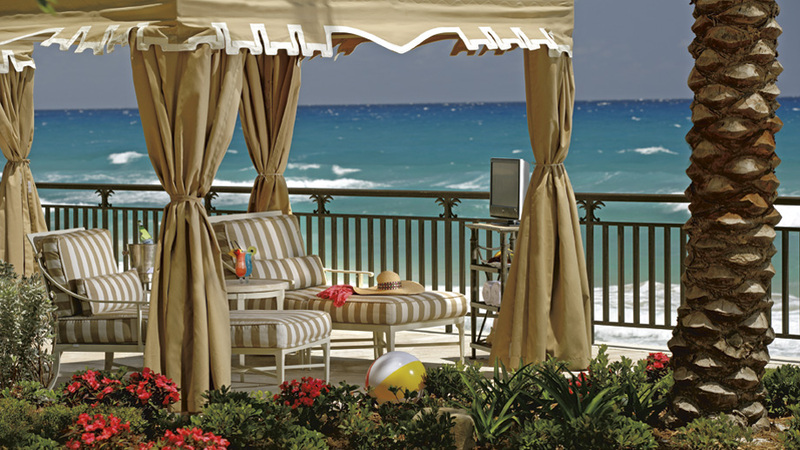 Casual elegance is found in every aspect of the Ritz-Carlton, Palm Beach. Every once in a while a president stays at a hotel in the capital city. 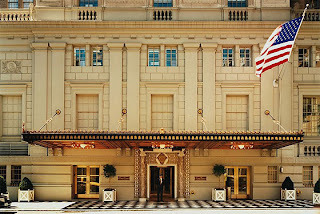 The Jefferson is located in the heart of Washington DC and is named after one of our founding fathers, Thomas Jefferson. The suite that touts his name is 1,900 sq ft of beautiful decor and stunning views. 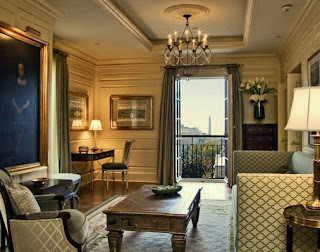 You can even check out the Washington Monument and White House from one of the five Juliet balconies found in the suite. Most recently George H.W. Bush stayed here during his inauguration and even chose some of this cabinet members during his stay. Every inch of this historic hotel is classic and refined creating a sophisticated atmosphere. Enjoy an expertly poured cocktail at the lounge and you might catch a glimpse of a famous political figure or dine in elegance at the Plume restaurant that just happens to be one or the finest restaurants in the city. Stroll though the hotel and take in the antiques and artwork as well as some historic documents that call this epic hotel home. The Jefferson is the ultimate in class and poise. The United States is the most powerful country in the world and with this title there is no doubt that our commander and chief will require only the best when it comes to where he relaxes at the end of the day. With such authority, comfort and convenience are just as important as privacy and elegance. Stay at any one of these amazing hotels and discover why past and current presidents have returned over and over. If it's good enough for the man in charge, it'll be sure to be a fantastic experience for every traveler.